Tramontina's Gourmet 8 Quart 18/10 Stainless Steel Tri-Ply Base Covered Stock Pot, from the company's Prima line, adds both beauty and performance to kitchen tasks. 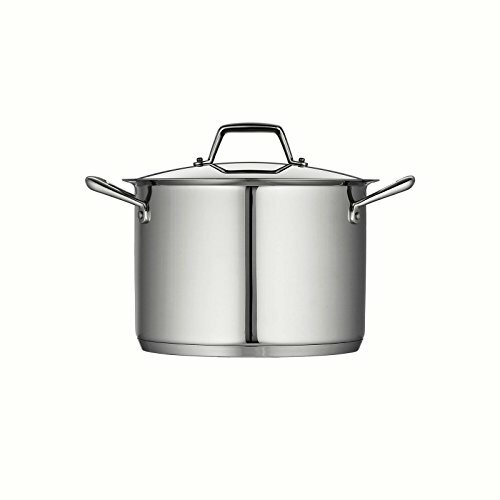 The 8 Quart Covered Stock Pot features an elegantly styled vessel with a flared edge, tri-ply base and mirror exterior finish. 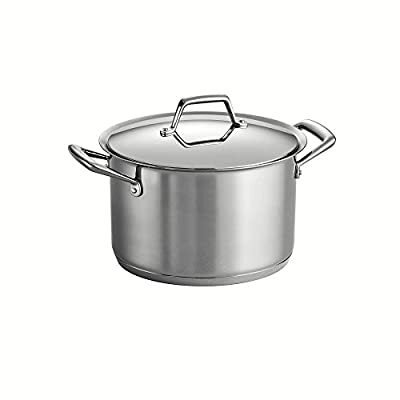 The cookware vessel is made with a tri-ply, impact bonded base, with a pure aluminum core sandwiched between a layer of 18/10 stainless steel and a layer of magnetic stainless steel, extending up and around the bottom of the cookware. 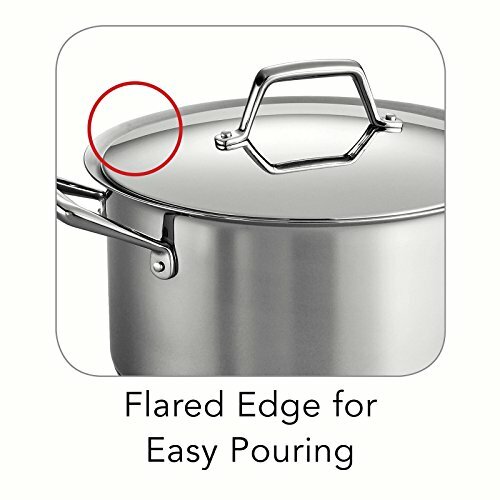 This combination distributes heat evenly and allows the cookware to be used on all types of ranges, including induction stoves.